Get stress relief that lasts. In as little as 10 minutes per day, learn life-changing skills for dealing with thoughts, emotions and beliefs that induce stress or anxiety. This comprehensive program addresses 5 key areas of stress relief: practices for calming the mind, emotional balance, relaxation, energizing exercises, and achieving joy. Techniques include guided imagery, visualizations, breathing and more. Watch a video exploring the causes of stress and your body’s physiological responses and discover how your thoughts and emotions are a key component. Listen to guided meditations or mindfulness exercises to experience a deep sense of calm right now. 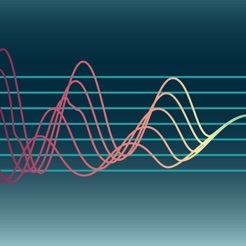 Let your cells resonate with some calming sound. You can focus on the stress relief practices that best speak to you. Contains over 45 FREE bonus audio and video stress relief exercises from doctors, psychologists, PhD’s and renowned experts including Jon Kabat-Zinn, Dan Siegel, Kelly McGonigal, Tara Brach, Caroline Myss, Jack Kornfield and more. Begin to feel relief from stress right away. The core plan consists of 14 key practices to get you started. It is designed to cover everything you need to know in two weeks, practicing on average only 10 minutes per day. That is only about an hour and 15 minutes per week! The frequency of practicing is more important than the length of time spent each session so most sessions are built with a busy lifestyle in mind. You can schedule these practices and get reminders to help you keep to your stress relief practice goals. Record your stress levels over time to track your progress and stay motivated. This FREE evaluation version is loaded with the complete set of practices from the PRO version. 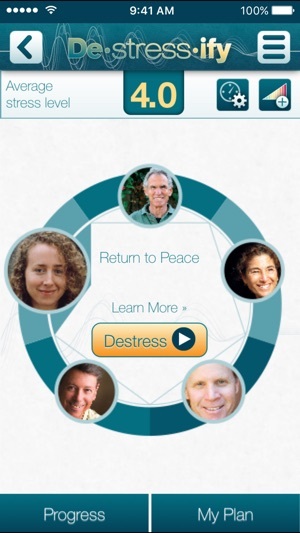 Get Destressify PRO for even more features to keep you on track and help make it possible to continue to offer FREE stress relief for those who need it. The latest neuroscientific research indicates that with repetition, the neural pathways of the brain rewire themselves for the new behaviors. After only a few months of practice, the changes become permanent and automatic. And you experience stress relief that lasts! Regardless of the challenges you face in your health, career, or relationships, it is possible to deal with them in a healthier way. 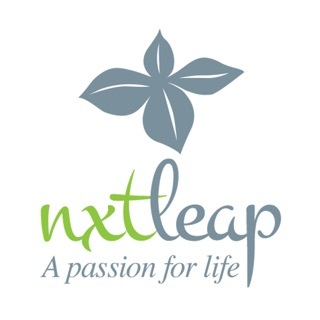 Download this FREE app to discover if this program is right for you. 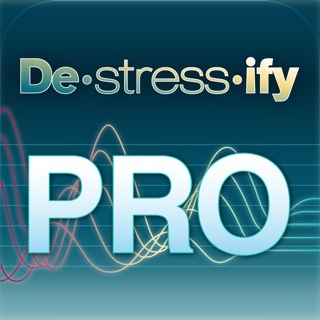 Or check out DeStressify PRO for even more features! 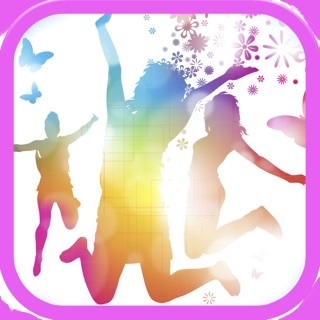 Without sounding overly positive, this app is perfect for balancing spiritual commitments, relaxation, emotional processing, regulation, and other mind body endeavors. Perhaps one must be spiritually ambitious and well versed in failure on the spiritual path due to lack of balance to fully appreciate the value that this creative project represents. For those of us Type A meditators, this app is really perfect in slowing down the need to achieve enlightenment, and instead relax and attempt to slow down and integrate and ground experiences. This is what this app guides me to do. The scheduling tool plans out beginning practices (in the schedule are)- but for the free version you have to search for the practices under the practice section (simple). When you select the exercise you wish to start, before beginning the exercise, the program guides us to bring our attention to our stress levels and acknowledge our emotional state. Its a simple rating system, but powerful reflective tool at the start of a new day. I’m not sure what was happening for the folks who left negative reviews in June. Maybe a problem with their internet connection? 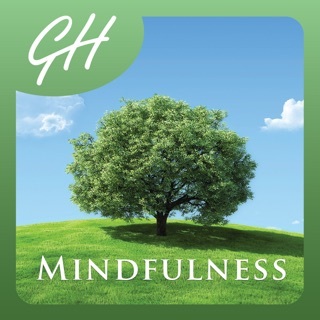 At any rate, I’ve been using this app and find it responsive, beautifully designed and including a wealth of information about the nature of stress, plus lots of ideas and content for managing it. It’s so helpful to measure my stress level before and after each session. 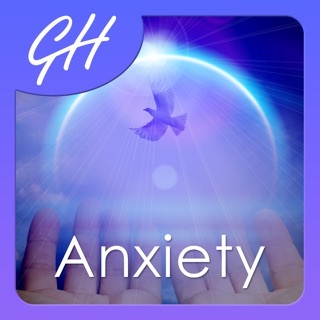 I can see my stress levels improving due to this app… Highly recommend! After discovering this, I wrote to their customer service to request that my account be deleted. A week later, I still have no response from them. Apparently they don't care about anything besides profiting from violating your privacy. Stay away! © 2013 Stress Refuge, Inc.